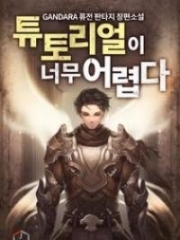 Read novel online » God Of Slaughter » Chapter 1313 Come To The Frontline With Me! God Of Slaughter Chapter 1313 Come To The Frontline With Me! 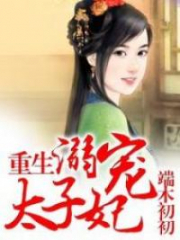 Yu Nan's dark gray eyes sparkled as she asked, "Bloodthirsty Force's Master?" Xiao En, Yu Shan, and Xuan Fei looked baffled when they saw Shi Yan walking out of the Teleport Formation. They couldn't believe it. Blood Devil, Lin Xin, and Feng Han exhaled in relief. They smiled sincerely. "Long time no see," Shi Yan chuckled, nodded to Xiao En, Yu Shan, and Xuan Fei, and asked, "How is the current situation?" "Are you really the new Master of Bloodthirsty Force?" Yu Nan looked skeptical. Many members of the G.o.d Defending Union were also perplexed as they observed Shi Yan. Why did the new Master of the Bloodthirsty Force have such a low realm? He was not even stronger than Blood Devil! Shi Yan was at Second Sky of Incipient G.o.d Realm. In their eyes, it wasn't enough to change the situation of Fiery Rain Star Area. The light on the Teleport Formation bloomed again. Gu Mo couldn't help but shout. Her beautiful eyes twinkled. Bath and Gu Te were bewildered but their emotions turned to fear as they saw Ghost Hunter. 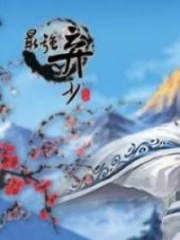 After Heavenly Monster Tribe had gone to Agate Star Area and then the Heavenly Monster Mountain Range on Grace Mainland, Azure Dragon of Heavenly Monster Tribe had taken Ghost Hunter away. Gu Te hadn't met him for a long time. Today, seeing that Ghost Hunter had reached the intermediate phase of level 13, he was frightened. Currently, Ghost Hunter's realm and power were equal to his. With his understanding of Ghost Hunter's power, he knew that he couldn't defeat him if they fought. The others didn't know how strong Ghost Hunter was, but Gu Te had experienced that better than anyone else. He knew how fierce Ghost Hunter could be when he turned wild. After that time, he had tried his best to recruit Ghost Hunter and give him power with responsibility. He wanted to train Ghost Hunter to be the next patriarch of Brutal Dragon Tribe. However, Ghost Hunter's future could be wider and brighter than that. Brutal Dragon Tribe couldn't hold him back. They knew it from the way Holy Ancestor Azure Dragon had trained him. 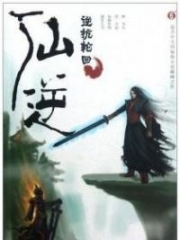 Ghost Hunter was like a cold blade standing by Shi Yan. The intimidating aura or energy emitted from him wasn't less than Shi Yan. This kind of cold and callous makings and bloodthirsty heartlessness in his bones had shown his intimidation pretty well. Yu Nan and the warriors of the G.o.d Defending Union felt scared and cold instinctively when they looked at him. They felt like they were facing a wild beast from a primal time. This feeling made they discreetly frightened. When they looked at Ghost Hunter, they couldn't help but wear cautious looks. At the same time, Shi Yan didn't give them a clear pressure. Without the t.i.tle of the Bloodthirsty Force's Master, people wouldn't even notice him. 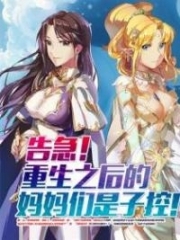 They didn't know that Shi Yan's vision and knowledge had improved a lot after witnessing the battle between Heavenly King Light and DeCarlos in Thunder Firmament Star Area. His cognition of power Upanishads had reached a new height. He could conceal the rough and evil aura from his body easily. Shi Yan today had a normal and calm aura when he purposely concealed his power. Ghost Hunter still needed to practice a lot to reach his level. As the experts of Fiery Rain Star Area could feel Ghost Hunter's excellent intimidation, they admired and respected him a lot. However, they soon found out that after Ghost Hunter appeared with his coolness that was chilled to the bone and his arrogance, he didn't look at the others aside from giving a nod to Gu Te of Brutal Dragon Tribe. He didn't even throw Gu Mo a glance. He just stood upright behind Shi Yan like an ice sculpture. His aura scared the others away. It made Yu Nan surprised. She observed Shi Yan. Her knowledge wasn't normal. From Ghost Hunter's position, she knew that Ghost Hunter let Shi Yan control everything. Yu Nan could see that the new Master of the Bloodthirsty Force now had experts guarding him. "What's the situation now?!" Shi Yan wasn't patient as he hissed. Yu Shan made a step forward and said, "It's not good at all. The Breckelfeld family and the Austin family have damaged us poorly in the recent battles. Right now, we're trying our best to defend Hexagonal Star Land. The Breckelfelds and the Austins are waiting for a brutal weapon that can break the layers of barriers and restrictions outside Hexagonal Star Land. I'm afraid..."
"We shouldn't fight here." Shi Yan squinted and looked at the dark area ahead of them. "We must get out of Hexagonal Star Land and fight the Breckelfeld family and the Austin family. Defending here won't bring you victory." Blood Devil, Xia Xin Yan, and the warriors from Agate Star Area looked confused, but they didn't say anything. They didn't think it was an appropriate method. They had fought the G.o.d Clan several times and each ended with their defeat. They knew how terrifying the G.o.d Clan was. Otherwise, they didn't have to defend Hexagonal Star Land as their last resort. However, they knew Shi Yan could create miracles. Thus, even though they didn't agree with him, they said nothing. Quite the contrary, the warriors of the G.o.d Defending Union didn't have the same idea. An expert cultivated Earth power Upanishad at Second Sky of Incipient G.o.d Realm looked a little angry as he hissed, "If we get out there to fight, we'll die in vain. You don't know how strong the G.o.d Clan is." What he said was also what the experts of the G.o.d Defending Union wanted to say. Recently, they had experienced a lot of bitter defeats from the G.o.d Clan. 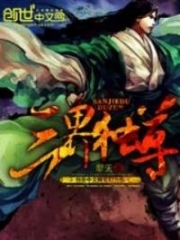 Although he was discontented, he had restrained his moods because Shi Yan was the new Master of the Bloodthirsty Force. He represented the force with the strongest fighting competence in this vast universe. He didn't show a lot of his dissatisfaction. "Although I haven't fought against the G.o.d Clan many times, my opponents were all real experts of the G.o.d Clan." Shi Yan frowned and didn't want to talk much. He looked at the band of stars from a distance and urged his power Upanishad. The void in front of them suddenly moved. A spiral s.p.a.ce pa.s.sage was created in front of Shi Yan at a speed that naked eyes could observe. In the next moment, it was through. At his Second Sky of Incipient G.o.d Realm and with the attainment of his s.p.a.ce power Upanishad, although Shi Yan couldn't break the star area barrier with only his thoughts to pierce through different star areas, it was easy to create a s.p.a.ce bridge to get to the other areas within a star area. After the s.p.a.ce pa.s.sage was created, Shi Yan turned around and looked at the experts of Agate Star Area. "Come to the frontline with me." Then, he didn't wait for Fiery Rain Star Area's experts to say more. He just dashed away. Blood Devil, Feng Han, Lin Xin, Xia Xin Yan, Bath, Gu Te, and even Yan Chi, Bing Jue didn't protest. They commanded their warriors instantaneously. Thus, many warriors of Fiery Rain Star Area gawked at the experts moving away through the s.p.a.ce pa.s.sage. They left Hexagonal Star Land where they had defended for a long time and fearlessly headed towards the thick defense of the Breckelfeld family and the Austin family. Yu Nan was bewildered and said nothing. She didn't know what to do. "He can create miracles. As he's the Master of the Bloodthirsty Force, his intimidation isn't something we can guess," Xiao En contemplated for a few seconds and then suggested sincerely to Yu Nan. "Follow him. He's not an impulsive person. I'm sure he has plans and calculations." "Auntie, we can't treat this man normally!" Yu Shan also said. Yu Nan and the warriors of Fiery Rain Star Area knitted their brows and hesitated. Once they got out of Hexagonal Star Land, they would immediately engage in a confrontation with the G.o.d Clan that no one could ensure if they could return alive. They used the destiny of Fiery Rain Star Area to bet this time. Winning this battle, they would win. If they lost, their merit of defending this Hexagonal Star Land would be in vain. Yu Nan didn't dare to make a rash decision. She looked at the crowd and asked, "What do you think?" The leaders of the other forces wore grave faces. They didn't dare to say anything because they didn't dare to use the future of the star area to bet. "Anyway, we have to send someone there. You guys... think about it more." Seeing that the s.p.a.ce pa.s.sage about to close, Yu Shan became determined. She suddenly turned into a fire beam and shot through the pa.s.sage. "Teacher!" Xuan Fei called then jumped into the pa.s.sage. Then, Xiao En and many warriors of Fiery Rain Star Area who worked with Benny quickly got through the s.p.a.ce pa.s.sage and disappeared without a concern for their leader's opinions. Those people used to train in Agate Star Area. Receiving Benny's dedicated training, they had become the most powerful and elite force of Fiery Rain Star Area. They could fight the G.o.d Clan, indeed. Thus, they represented the future of Fiery Rain Star Area. After many b.l.o.o.d.y battles, they had considered Benny as their supreme commander. They supported him wholeheartedly and swore to sacrifice their lives for Benny. Seeing them jump into the s.p.a.ce pa.s.sage, Yu Nan paled and shouted, "All the battleships engage in this battle. Get out of Hexagonal Star Land. We must join this battle!" The others didn't want to go. However, hearing Yu Nan, they knew that they didn't have another choice. They then ordered their subordinates, "All the battleships and war chariots gather with Agate Star Area's warriors. We must win this battle or we all will die!" For the time being, the shining metal battleships were like dragons that stormed out of the abyss and pierced through the barriers of Hexagonal Star Land. They were heading to the immense sea of stars out there. Outside Hexagonal Star Land, Shi Yan was standing on a dark blue, cold meteorite. In front of him were several thousand Hidden G.o.d Vessels of the G.o.d Clan. These kinds of Hidden G.o.d Vessels were made of an invisible wood. They could become invisible while moving in outer s.p.a.ce. However, it wasn't completely invisible. They just troubled people's sights and Soul Consciousness from a far distance. The G.o.d Clan used the Hidden G.o.d Vessels to attack many star areas. Usually, they could produce great results because they could damage the enemy badly before the enemy could recognize them. However, the invisible ability of those battleships was ineffective in front of Shi Yan. In Thunder Firmament Star Area, his life and body sublimated. He could reflect the entire star area in his brain to observe the structure of that star area. Just like that, when he entered Fiery Rain Star Area, he had reflected Fiery Rain Star Area in his brain to see every corner of this star area as if he was its master. This feeling was really marvelous, but Shi Yan couldn't tell if it was the development of his Star or s.p.a.ce power Upanishad. However, he had the feeling that he was the real master of this star area. The arrangements of the G.o.d Clan in Thunder Firmament Star Area appeared in his head like the drawings. "The Hidden G.o.d Vessels of the G.o.d Clan are in front of us. They are the G.o.d Clan's later preparation. They've planned to widen the s.p.a.ce pa.s.sage here and set up their traps. After they've attacked Hexagonal Star Land, they were going to lure the forces of Fiery Rain Star Area to this area." Shi Yan wore a stern face. "That area has many natural tornadoes with full force. If we get there, those natural tornadoes that are created in outer s.p.a.ce will activate and explode the Hidden G.o.d Vessels anch.o.r.ed nearby. They will be fluttered. When they are in chaos, we will attack them suddenly." Everybody was shocked and looked at him disbelieving. Benny asked, "Master, I'm amazed to see how you can be so thoughtful and tactful. How could you do that?" It was what the others also wanted to ask too. "It's hard to say clearly. But right when I got to Fiery Rain Star Area, I could see all the big commotions in the star area," said Shi Yan absent-mindedly. God Of Slaughter Chapter 1314 Bite And Nibble! You're Read God Of Slaughter Chapter 1313 Come To The Frontline With Me! online at NovelOnlineFull.com. You can use the follow function to bookmark your favorite novel ( Only for registered users ). If you find any errors ( can't read,broken links, can't load photos, etc.. ), Please let us know so we can fix it as soon as possible. And when you start a conversation or debate about a certain topic with other people, please do not offend them just because you don't like their opinions. You're reading God Of Slaughter. This manga has been translated by Updating. Author(s): Ni Cang Tian,逆蒼天. Already has 606 views. Current Time is 20-Apr-2019 08:43:35 AM.